The agency helped ring in what would have been Dr. Seuss' 115th birthday this month. SAN DIEGO: Dr. Seuss Enterprises has picked Havas Formula as its first PR AOR. The agency has been tasked with building awareness of Dr. Seuss Enterprises through influencer programs, media relations, thought leadership, and expert positioning, said Havas Formula CEO Michael Olguin. "We are trying to raise awareness of the organization so it can start to win some of the share of mind and voice against other platforms such as Barbie and comic-book heroes," he said. The firm is also reminding consumers that there is more to the Dr. Seuss brand than books. 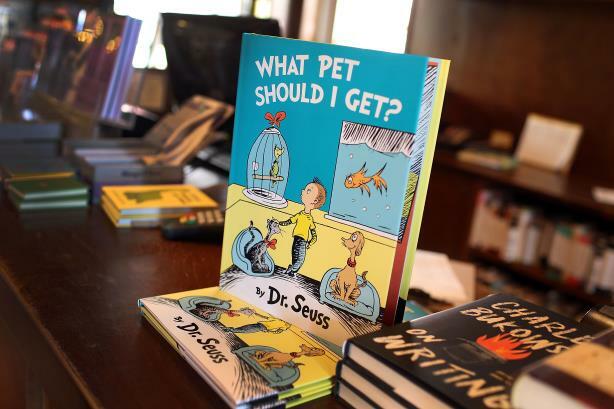 "We play in so many different industries that we want to amplify our exposure in the publishing, licensing, and entertainment industries, as well as in the education arena, and at retail," said Susan Brandt, president of Dr. Seuss Enterprises. "That is a big task." The organization’s next campaign will be focused on Dr. Seuss’ book "Oh, the Places You’ll Go!," which is the top-selling Dr. Seuss book in the U.S., said Brandt. "It is the number one graduation book in the country, so we are working with Havas to amplify that message," she said. "Many parents have teachers at the end of every grade write messages of encouragement to their children and finally give it to them [with all the messages] at the end of high school. We will probably highlight that around that book." The organization is also planning to tap into Havas Formula’s Hispanic division as it collaborates with U.S. publisher Random House to re-release and expand books in Spanish. "We are putting a major Hispanic marketing effort behind it," said Brandt. "We also have a number of new digital games coming out, and in 2020, the Cat in the Hat is running for president." The agency was selected after an RFP that started at the end of last year. At the start of this month, it helped to ring in what would have been Dr. Seuss’ 115th birthday with reading events across the country. The agency is Dr. Seuss Enterprises’ first PR AOR. SVP Ditas Mauricio is leading a team of five on the account. Budget information was not disclosed. Dr. Seuss Enterprises is a children's entertainment company that was established in 1993 and is committed to caretaking the legacy of Dr. Seuss, whose real name was Theodor Seuss Geisel, the organization said in a statement.